Chicago Law Firm Files First Lawsuit Against Astrazeneca on Behalf of Tennessee Man Who Suffered Serious and Permanent Life-Threatening Injuries Following His Use of Nexium. Chicago, July 5, 2016: A Chicago law firm filed its first lawsuit against AstraZeneca on behalf of Charles Bowers, a Tennessee man, for serious and permanent life-threatening injuries following his use of Nexium. The complaint was filed in the United States District Court, Western District of Tennessee alleging the Defendants knew or should have known about the significantly increased risk for kidney injuries from the use of its products and failed to adequately warn consumers. According to the complaint, Charles Bowers began using Nexium in 2003 and used it until 2008 after he was diagnosed with severe, drug-induced, Acute Interstitial Nephritis by biopsy. In May, 2009, Charles Bowers was diagnosed with severe chronic Active Interstitial Nephritis. As a result of his condition, Charles Bowers is required to undergo dialysis treatments three times a week and is required to have a kidney transplant. Nexium and Prilosec are proton pump inhibitors (PPIs) that are used to decrease the amount of acid produced in the stomach. Proton pump inhibitors are commonly used to treat gastroesophagal reflux disease (GERD) and peptic ulcer disease (PUD). Prilosec, originally approved as Losec in 1988, was the first member of the Proton Pump Inhibitor class of medications. 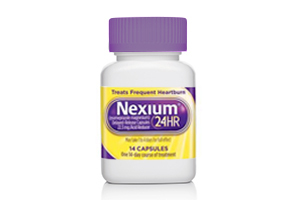 Nexium is a second generation proton pump inhibitor said to be an improvement on Prilosec. Both are manufactured by AstraZeneca. A February, 2016 issue of the Journal of the American Medical Association (JAMA), published the results of a new study which showed a higher risk of chronic kidney disease in patients using proton pump inhibitors like Nexium (esomeprazole), Prilosec (omeprazole), and similar prescription and over-the-counter medications. The results showed the risk of chronic kidney disease was higher with prolonged use. Moll Law Group has been contacted by a large number of PPI users around the country and is currently investigating the filing of lawsuits for claims of acute interstitial nephritis, chronic kidney disease, and renal or kidney failure. “A team of lawyers from around the country are reviewing numerous claims of kidney damage from users of proton pump inhibitors. We are conducting free reviews for anyone who had any type of kidney injury following use of proton pump inhibitors (Nexium, Prilosec, Prevacid, Protonix, etc. ),” stated Attorney Ken Moll, President of Moll Law Group. Moll Law Group is a national injury law firm based in Chicago helping injured victims obtain the compensation they deserve. Copy of Complaint may be found here.